The Colorado high country.. great mountainbiking, legendary skiing and epic views of mountains covered with dead trees. 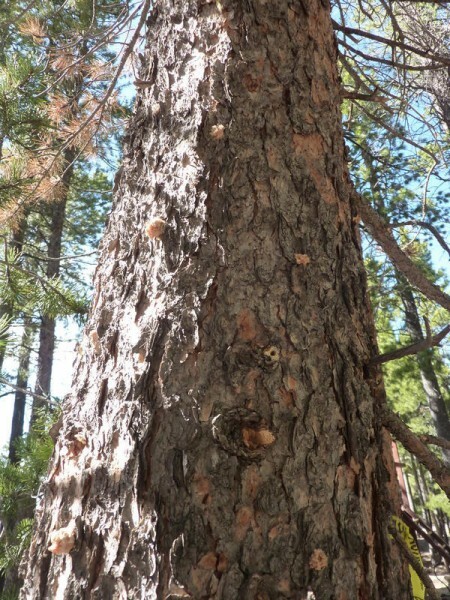 If you haven’t seen the devastation of the Mountain Pine Beetle then you can find plenty of examples here. 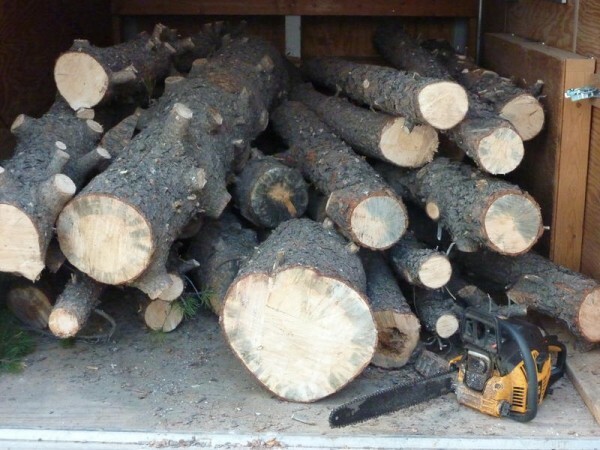 This first wave hit about a dozen trees on our property late last fall. Now that the snow has finally melted it’s time to get the infested trees over to the county sort/burn yard before the larva hatch and spread to new victims. 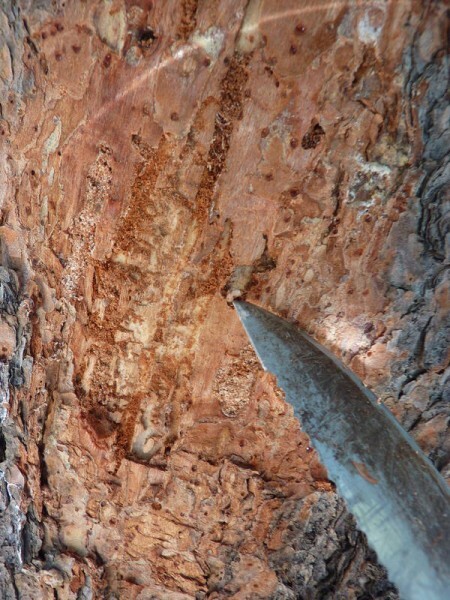 Note the “pitch tubes” that result from the beetle boring into the tree. If the tubes are long and clear/yellow colored then there’s a chance the tree may have repelled them with enough sap, but the only way to know for sure is to look under the bark. If you wait for the tree to “brown out” and look dead before taking it then the larva will already have hatched and spread to other trees. 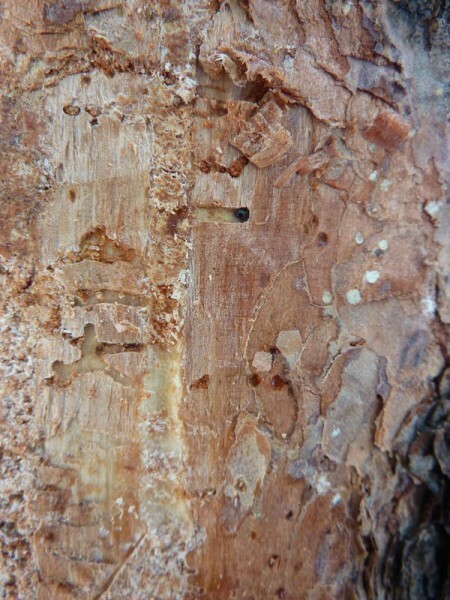 Example of a pine beetle larva after skinning off some bark. A more mature larva, nearly ready to bore out. 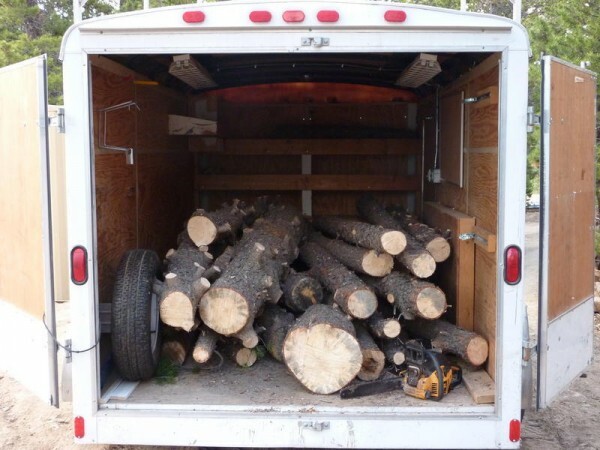 Cut, stripped and loaded. The beetle don’t live in the branches so it’s only necessary to burn the trunks. Notice the blue staining in the wood due to a fungus that the beetles carry. It infects the tree and clogs up the ability for the tree to transport water. A one-two punch for the tree. We’ll see how this summer goes. I’m hopeful with enough watering and some treatments that we can hang on to our “high value” trees and big ponderosas.